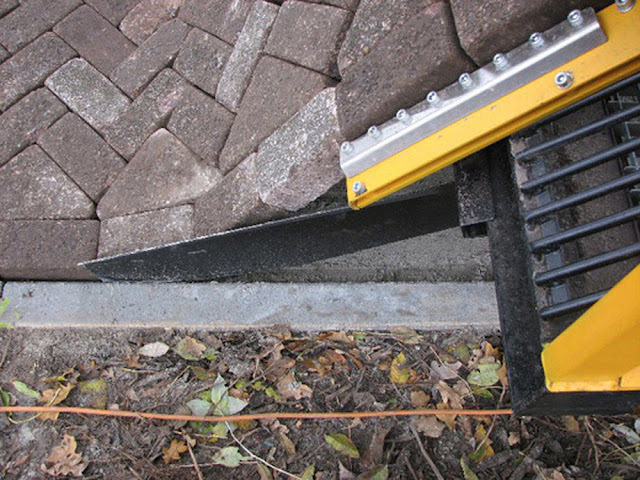 The machine has the ability to move according to the direction of the road being paved, thanks to built-in sensors which could detect the edge of the curb, allowing it to navigate roughly along the direction of the expected route. Having said that, this machine is more in the semi-automated category than automated. The bricks need to be arranged in the desired layout and fed into the slot. What the machined really does is to let the bricks lock to each other through the aid of gravity and roll off its feeder onto the road, creating a brick laid road in the process. The process itself is as ingenious as it is simple. 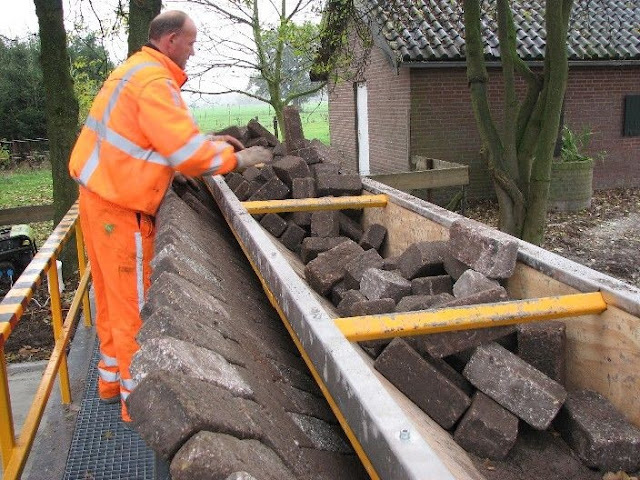 Human operators are still required to place the bricks, prepared and stored at the bin to the front, to be aligned to whatever layout of bricks is wanted and fed into the slot, as is being done by this operator. Still, this minimized the workload and time consumption rather drastically (image taken from Gizmag). 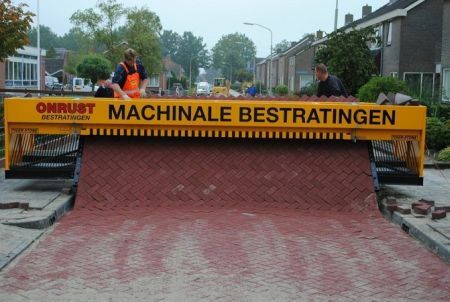 Never seen one in action in my country yet, but the brick section seemed to match each other well even after they were rolled off the feeder of the machine (image taken from Avaxnews). 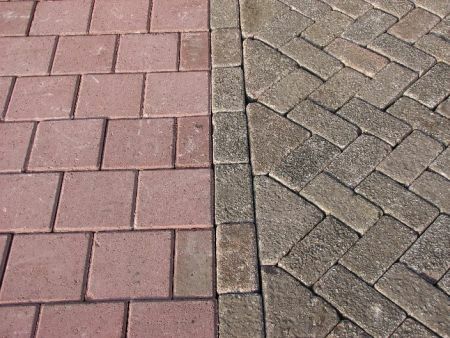 By arranging the layout of the bricks, it is possible to lay the pavement for 2 different sections together, since human operators are used to feed the correct bricks at the correct arrangement anyway (image taken from I New Idea). 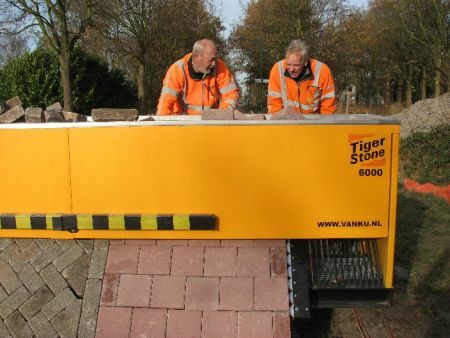 For developed countries where laborers' wage are getting higher and less people are willing to perform such stressful tasks, this machine could be a godsend, replacing the once back breaking task to slight less back breaking. Given the nature of human ingenuity, it could be only years before a machine could fully take the task of road laying from human hands.